As is often the case, when I make bread I sometimes take a small piece of dough and make a pizza for lunch or dinner.And is also often the case, I usually put on it whatever I have in the fridge or freezer at the time. 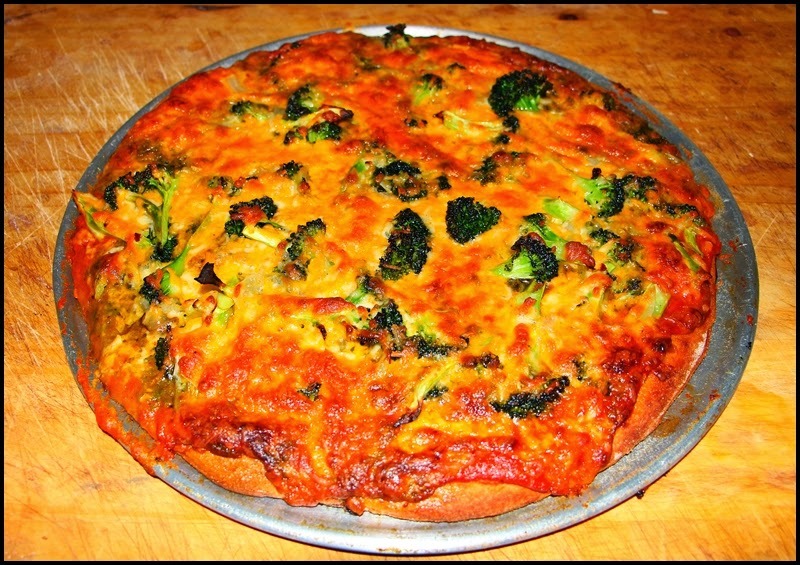 For this one there was homemade tomato sauce, pesto, broccoli aglio e olio, and four cheeses on a whole wheat crust. Here it is in photos; recipe links follow. 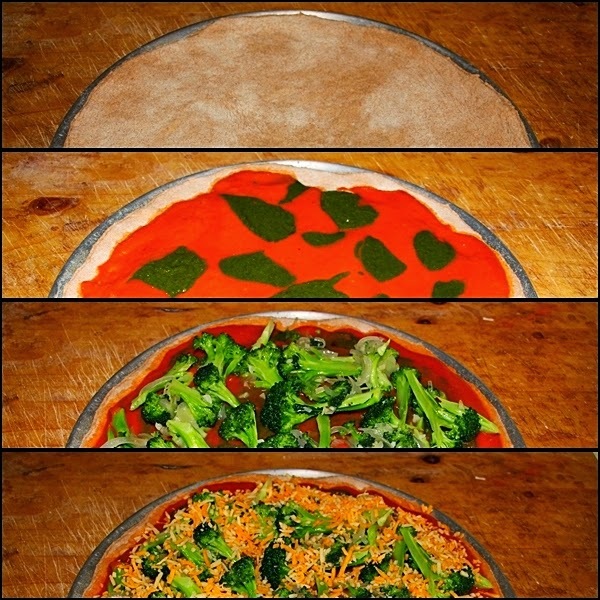 For the whole wheat dough recipe, click here. For a really simple 20 minute tomato sauce recipe, click here. For the pesto recipe, click here. For the broccoli aglio e olio recipe, click here. 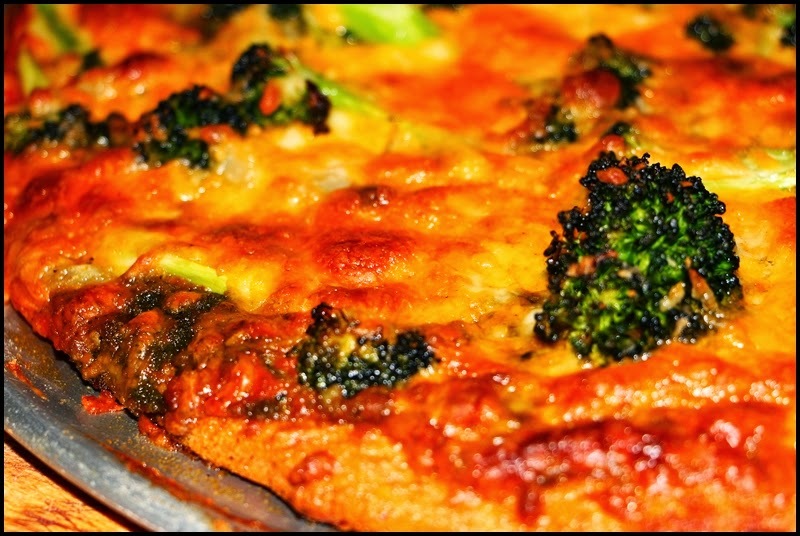 And finally, to see a multitude of other pizza recipes--in words and photos--click here. beth talked about this, so gotta try it soon. you seem to be able to get us to try stuff we would not. wish you could get her to try fish.....lol.